Quimby’s is proud to co-sponsor The Chicago Zine Fest, a celebration of small press and independent publishers, with free workshops, events, and an annual festival. 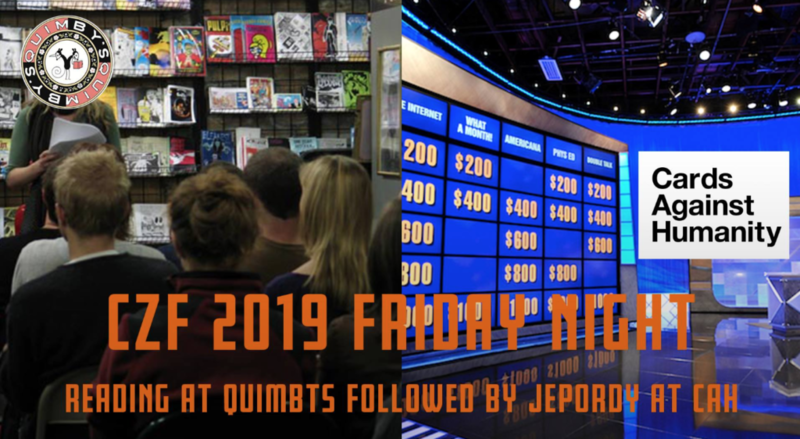 CZF 2019 is in its tenth year! CZF 2019 will take place over three days: May 16th-18th. Saturday, May 18th is the main exhibition at Plumbers Union Hall (1340 W Washington Blvd). All events during CZF weekend are always FREE, wheelchair accessible, and open to the public. Quimby’s will host the Exhibitor Reading from 6-8pm Friday, May 17th here at 1854 W. North Ave. in Wicker Park. Zine creators exhibiting at this year’s fest will share stories and comics from the pages of their publications. Details are here. After the reading, head over to the Cards Against Humanity Theater at 9pm for a rousing game of Zine Jeopardy at 9pm. Details here. 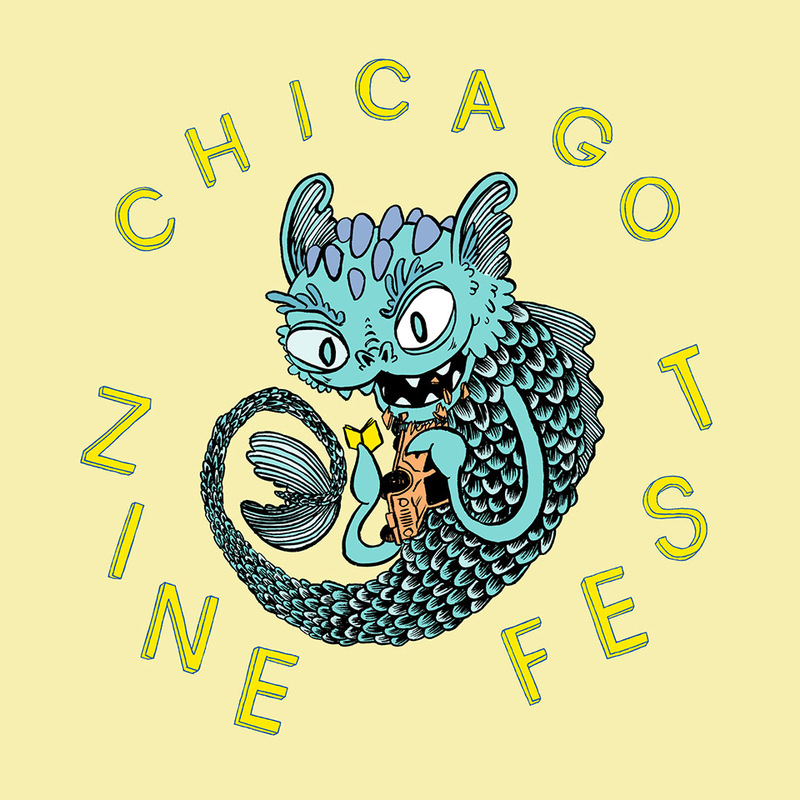 Stay tuned for more information about this year’s Chicago Zine Fest! Visit chicagozinefest.org for more info. 2019 CZF art by Neil Brideau of Radiator Comics. Tags: Billy the Bunny, Cards Against Humanity Theater, Chicago Zine Fest, CZF, Exhibitor Reading, John Porcellino, Julia Eff, Zine Jeopardy.